My previous post addressed the psychological rather than the spiritual as it relates to forgiveness; however, one cannot ignore the relevance of the spiritual dimension. Forgiveness is as much an act of spiritual maturity as it is psychological maturity. Historically the matter of forgiveness has been the domain of faith traditions, particularly Christianity. Perhaps the grandest historical act of forgiveness occurs as Jesus is being crucified. 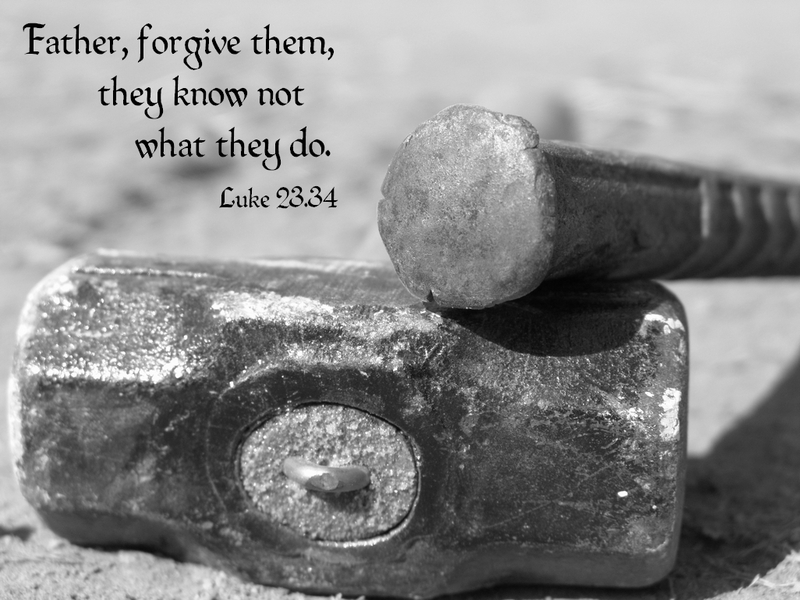 “Father, forgive them for they know not what they do!” What allowed Jesus to extend forgiveness toward his persecutors in the midst of his own crucifixion? One must understand Jesus in the context of enlightened consciousness which is synonymous with the highest levels of spiritual and psychological maturity. From the perspective of enlightened consciousness, a wider and larger view of life is held. Greater clarity and understanding emerges which offers a more expansive perspective from which to view oneself, others and oneself in relation to others. Understanding Jesus in context of others is similar to understanding an adult in the context of a child. It is not my intent to shame by using this analogy but to simply make a point. An adult understands the naiveté of a child and responds to them with the knowing of the child’s limited awareness and knowledge about matters of life. Children act childishly, not because they are bad but because they do not know better. And even if they know better, they often lack the impulse control or emotional regulation capacity to properly contain behavior; which is essentially another form of not knowing. Consider a kindergarten teacher who is kicked by an angry student. The teacher understanding her level of maturity as well as the child’s and does not lash out at the student. She functions with a level of knowing that allows her to put the behavior in the proper context of its naiveté, therefore, holding no ill will toward the child. Despite the physical discomfort that may be felt, she is aware the child “does not fully know”, and responds accordingly. Forgiveness with regards to the spiritual dimension is an act of raising one’s consciousness to a level beyond the offending event; allowing a piece of divinity to enter, elevating and expanding awareness that allows one to rise above and assume a new knowing. Forgiveness requires an expanded consciousness and expands consciousness. Forgiveness is an act of growth and maturity and fosters growth and maturity. As we forgive we grow and as we grow we can more easily forgive. This entry was posted in Psychology, Spirituality and tagged Christianity, Consciousness, Forgiveness, Jesus, Luke 23:34, Maturity. Bookmark the permalink.